Finance Minister Nhlanhla Nene today said he was fired by former president Jacob Zuma for refusing to approve contracts that would financially benefit the Gupta family, friends of Zuma accused of corruption. 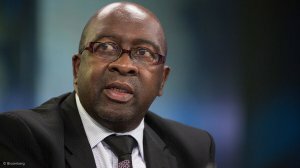 Nene, who was giving testimony at a judicial inquiry into influence-peddling, said the main reason he was sacked was for rejecting a proposed plan to build a fleet of nuclear power plants. In his opening speech to the well-attended Joburg Indaba, Mantashe, who is seven months into the job, said he had inherited a mining industry that was not on speaking terms. Mantashe, who was last year inducted into the Joburg Indaba’s Hall of Fame, said, in reference to his gazetting of Mining Charter 3, that mining should not a be a sector of charters, but a sector able to contribute significantly to the gross domestic product of the South African economy. The National Union of Mineworkers in the Western Cape, as well as the South African Communist Party and labour federation the Congress of the People, plan to march to Parliament against what they call the negative effects of power purchase agreements the government has signed with independent power producers for state electricity utility Eskom. The organisations said the joint march is intended at defending Eskom workers against the looming job cuts; reject electricity tariff increases for funding IPPs, and also to reject the privatisation of Eskom. They added that the march is also directed against municipalities who are failing to pay Eskom debt thus contributing to the looming job cuts.